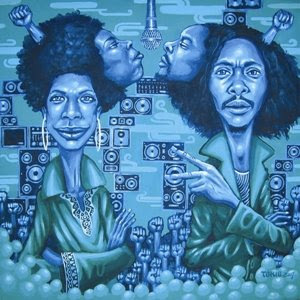 Two of my favourite artists will be the subject matter today. Both spiritual beings, who don’t follow the norm, believe in individuality, are well versed and poignant, sometimes go against the grain to challenge mediocrity and well, are just such amazing musicians. I love their music and will forever be a fan, but what I’d like to talk about are their coincidentally (dare say otherwise) similar latest album covers. date. This album was almost titled ‘Kahba’ which is the middle part of her name and surname put together. 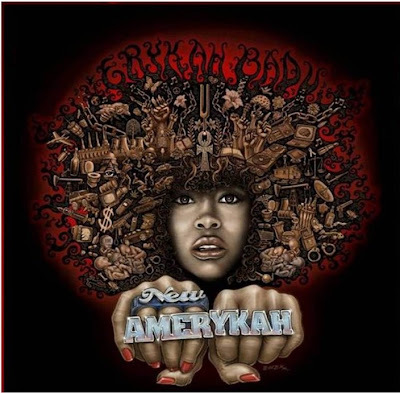 We love her for her realness, her personal and political lyrical content, how she makes her sounds carry you to far off places in wonder, crash you against sharp cliffs and dive down to deepest darkness places in your soul, blending hip hop and a few soul genres in her quest to express. and then we have, South Africa’s very own queen of roots. Her second solo album; nine track offering composed and produced almost entirely by Miss Mazwai herself. Thandiswa, to me, is the sound of South Africa and speaks to me even more as a young black Xhosa woman. 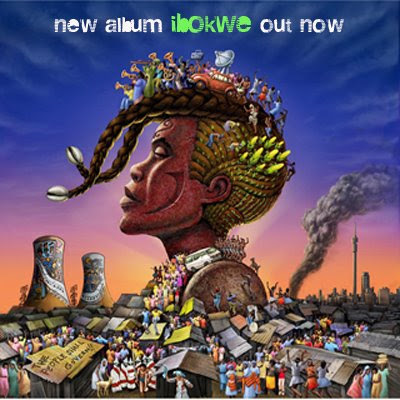 Ibokwe is a spiritual journey, her voice taking you with her, channeling ancient wisdom and opening her soul up to the world. Even without understanding isiXhosa you can feel in every cell in your body the reverberating passion and love and individuality. Both albums call you to invest time and explore the journey they take you, in no rush. Feel, they say, live they say, and let us show you the world!